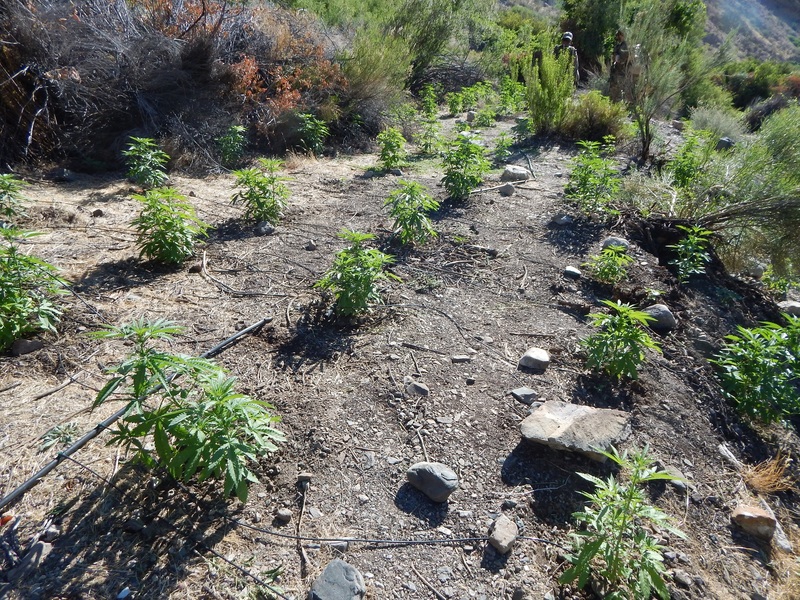 DEATH VALLEY, CA – National Park Service rangers recently raided an illegal marijuana growing operation in Death Valley National Park. National Park Service and Bureau of Land Management rangers raided the site on July 3. 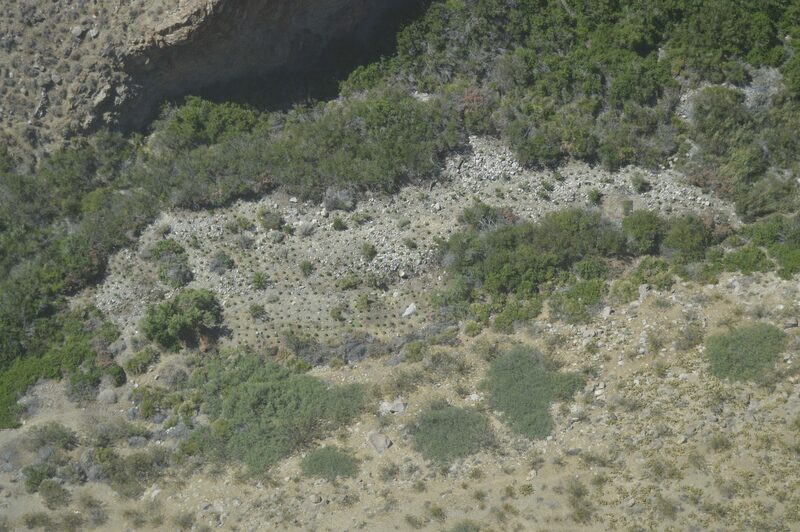 The rangers found over 4,000 marijuana plants in four garden plots. No workers were on location at the time of the raid. Native plants in lush areas near desert springs provide critical habitat and food for bighorn sheep, birds, and other wildlife. The workers had cleared away vegetation to make room for their crops. Each marijuana plant can use up to 6 gallons of water per day, which was delivered by a network of irrigation tubing from the springs. The rangers’ greatest concern was finding carbofuran, a pesticide which is highly toxic to humans and wildlife. People hiking to infrequently-visited regions of Death Valley National Park should be aware of the risk of finding a marijuana grow site, which could be defended by the growers. Hikers should be on the alert for irrigation hose, fertilizer, signs of digging, unusual litter, and anything or anyone that seems out of place. If a hiker finds a grow site, he or she should leave the site as quickly as possible and notify the NPS at 760-786-2330. Hiking to popular destinations remains safe, such as Golden Canyon, Mosaic Canyon, and Telescope Peak.